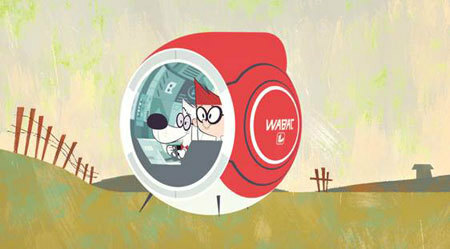 Mr. Peabody and Sherman are back in Season 2 of their outrageous late-night comedy show broadcast in front of a live studio audience. Anything can happen in this show jam-packed with zany segments like Historical Idol, adventures in the WABAC, loads of special guests and musical acts like Katie Herzig. You’ll laugh out loud as Sherman sets a world record live on the show, a dinosaur hatches on stage, the penthouse ends up on the moon and more! Exclusive Clip "Ruff Guyz Reunion"
Season 2 premieres March 18, 2016 exclusively on Netflix. 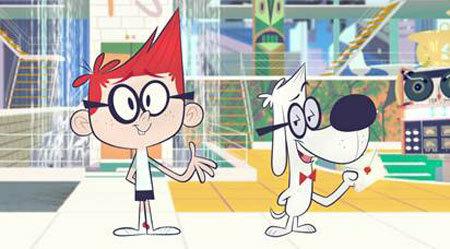 Have you seen Season 1 of "The Mr. Peabody & Sherman Show"? Comment below and share with the Kidzworld readers!